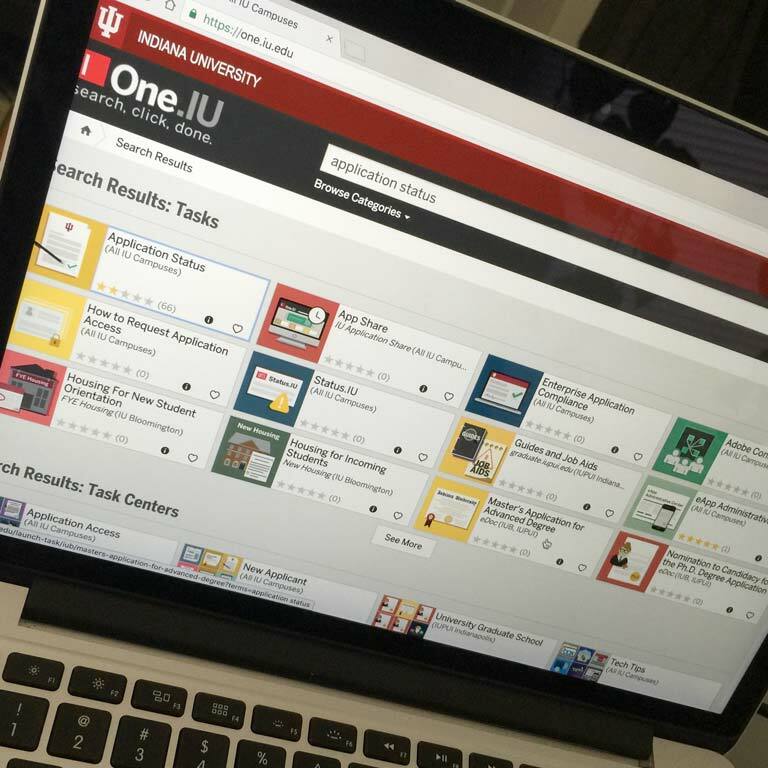 Search: application status in the search bar at the top of the One.IU home screen. Click the Application Status item in the search results. The Application Status page opens in a new tab. From here you can see if any items are missing from your application. To see which items, if any, are missing click View all to do items. Be sure to take prompt action on any of these ToDo items. Your application will not be complete without these items, and we will not consider your application for admission until the application file is complete. Your university ID is printed at the bottom of all Admission correspondence addressed to you.